I can't find both solutions ? Can you help me ? 1) The grid itself where google map is posistion has margin-left and margin-right of 20px, which gives the effect of a border. Check the settings in Themler. If you need help, let us know. 2) The module under the map is positioned correctly and is full page wide but doesn't have enough logos inside of it to cover entire width of the page on big monitors. I'm sorry i can't find where to change the grid to 20px. Can You telle me ? Caan you take a look please ? You well see the Google Maps is not ok on the left and the logo's under Google Maps is nog nice vertically center. Why didn't i receive answers ? Why you don' answer me ? 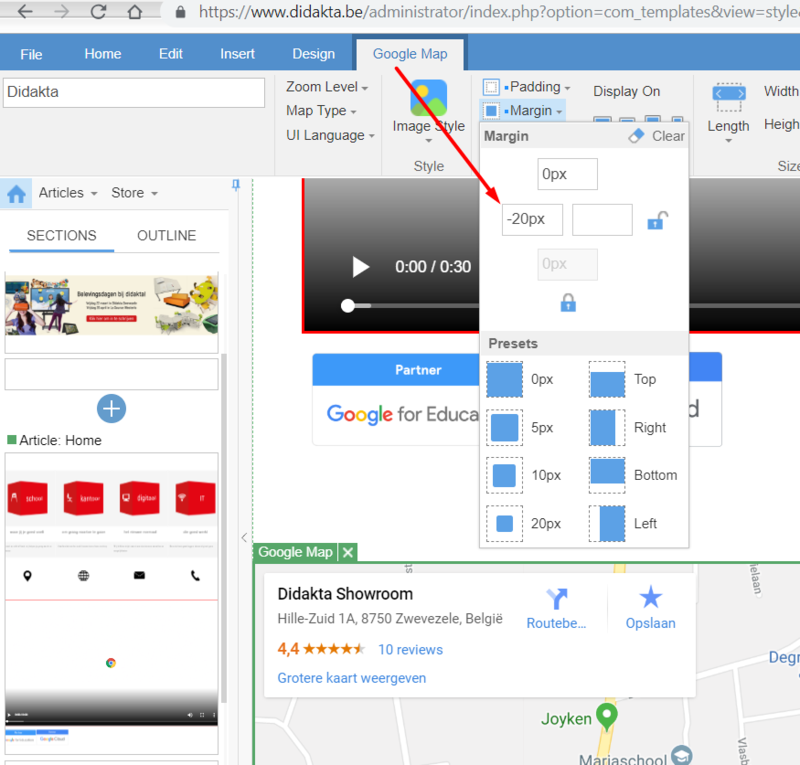 I just need help to remove the border left on the Google Map en to position the sponsor slideshow between Google Maps and black footer ? This seems a paid component ? Please support. Saved the template, but haven't published it yet. Do you still need to move the logos up above the footer?